Rules are simple Ban the person above you. Because i took the power off you, and used it on myself. Because I re-took that power that you took from me, and banned you with it. I banned you because I'm a veteran while you noobs are admins. I ban you for being a vet, Admins F0R LIFE ! I ban you because you banned funky before I can for being a vetty. Banned because I've played longer then all of y'all. 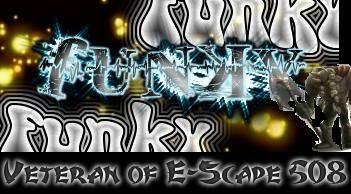 Banned Funky, because who cares how long you've been playing, and banned Invi for banning funky before me. i ban you becasue i got demoted and you never telled me why. also for banning the person above you. Banned you because not everything the staff does needs to be released to the public. banned because doesnt he deserve to know? No he doesnt need to know, Some things are better of private. Exactly, the things that some of the staff members discuss about are supposed to be kept between them and we would appreciate if it does not be brought up again. banned for being to funky. Because i luff j00 <3 XD.